How many watches you own will help determine what size watch winder you should have. Only have one watch? If you only have one watch and intend to wear that watch most of the time, then the movements of your wrist should by sufficient enough to keep your watch wound. If you only wear your watch occasionally, a single watch winder would be beneficial to ensure that your watch is ready and operational when you do choose to wear it. Own more than one automatic watch? The common sense rule would be that you should own an automatic watch winder with enough slots to keep all your watches, minus one. (number of watches – 1 = size of watch winder).This assumes that you will be wearing one watch, and the other watch is in the winder, being wound or stored, ready to be worn.The idea would follow, that if you own 2 watches, you would need a single watch winder; if you own 7 watches, one for each day of the week, you need a watch winder with at least 6 spaces. If you are an avid watch collector (or wanting to become one), you should consider the additional options that come with larger watch winder boxes.These investments can be used for storage, even securely storing your valuables under lock and key.The Volta watch winders are both elegant and functional.These boxes come in a variety of sizes, storing 8, 12, 16, 24, and even 32 watches at all times! 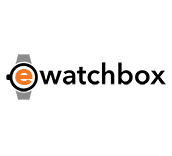 Look for our post in the upcoming weeks regarding the scalable BOXY watch winder.